This past week we tried a new practical life activity: rolling place mats. I put four colored IKEA placemats on a tray and the goal of this exercise is that Jonathan would learn to gently unroll the placemats and then roll them back up. You can see detailed instructions about this exercise here at Info Montessori. Unrolling the mat was fairly easy, but rolling the placemats took a bit more concentration. Jonathan would get overly excited and try to hurry through the exercise, just to find it didn't look correct. So not only did this help him develop fine motor control, but it also helped us learn a little bit more about being patient as well! Jonathan really enjoyed this activity and returned to it several times during the week. His friend A. (3 years) also was really drawn to the activity. Both children found it challenging, but not overly so. I think this will be in our Tot School rotation frequently! 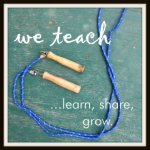 I'm linking this up to Montessori Monday over at Living Montessori Now and One Hook Wonder. Sometimes the simplest works are the most engaging and most challenging for wee ones, huh? I agree with Martianne! Very good practice at home! So important to give things like rolling rugs and placemats their own attention so that they don't become distractors when you move into using them during lessons!